When binding a book, strong thread is needed to sew the groups of pages, known as signatures, together. 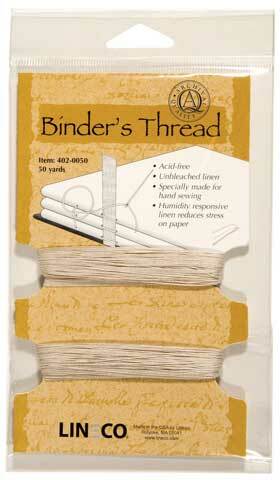 This strong genuine Irish linen thread is made for hand sewing and expands with moisture to prevent tears in the paper. Each package contains 50 yards of thread.